It’s no joke: the bomb expert gets a skin during the next event. It looks like Junkrat is up to some funny business. His “Circus” outfit is the second skin revealed today for the next Overwatch event, Storm Rising. Talon Baptiste, which shows the combat medic dressed in red and white, was revealed by the official Overwatch Twitter this morning. Xbox had the honor of revealing Junkrat’s new skin on their Twitter this evening. The “Circus” skin, which will be epic level, changes Junkrat’s normal grey-and-gold gold outfit to a colorful purple, white, and teal clown ensemble. His bombs are now a bright yellow and his RIP-tire, once dull and black, got a huge upgrade. It’s now white with a yellow and purple rim that creates a visual optical illusion as it circles. Junkrat’s hair is also blue, but don’t worry—it’s still on fire. 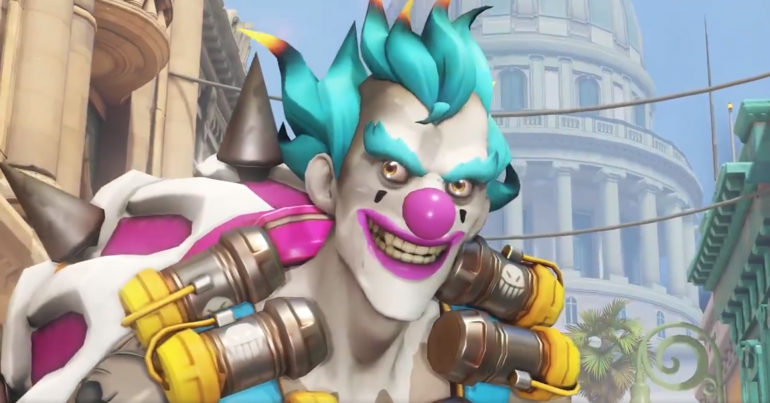 The new Storm Rising skin isn’t the first of Junkrat’s skins to show him clowning around. 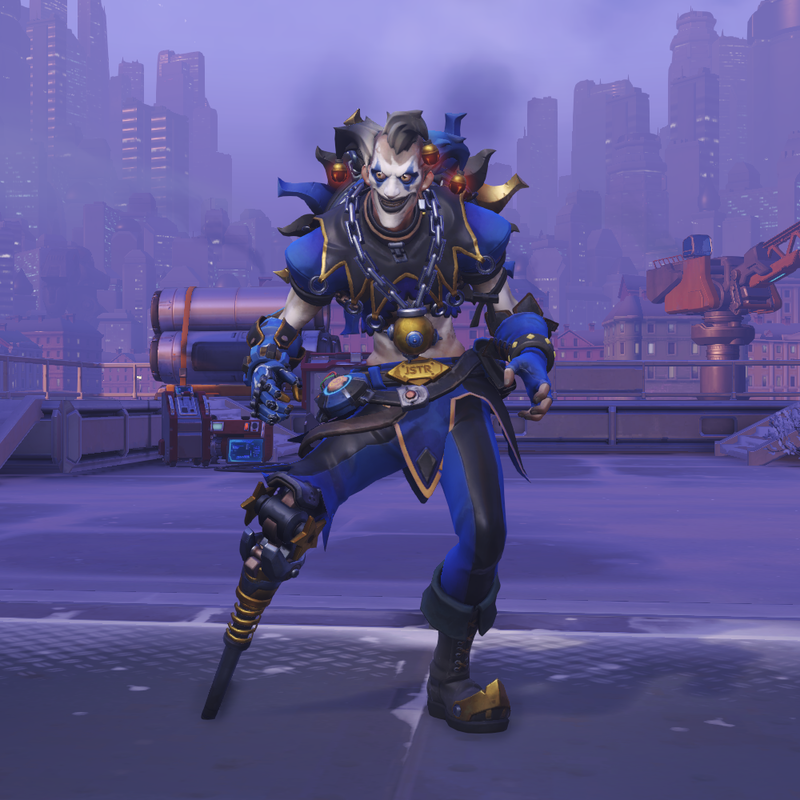 Two of his legendary skins, available in Overwatch since launch, are named “Fool” and “Jester.” Both have a similar motif, giving Junkrat an outfit that hearkens back to court jesters with a whole lot of white face paint. The Storm Rising skin has a very important upgrade: a big clown nose. 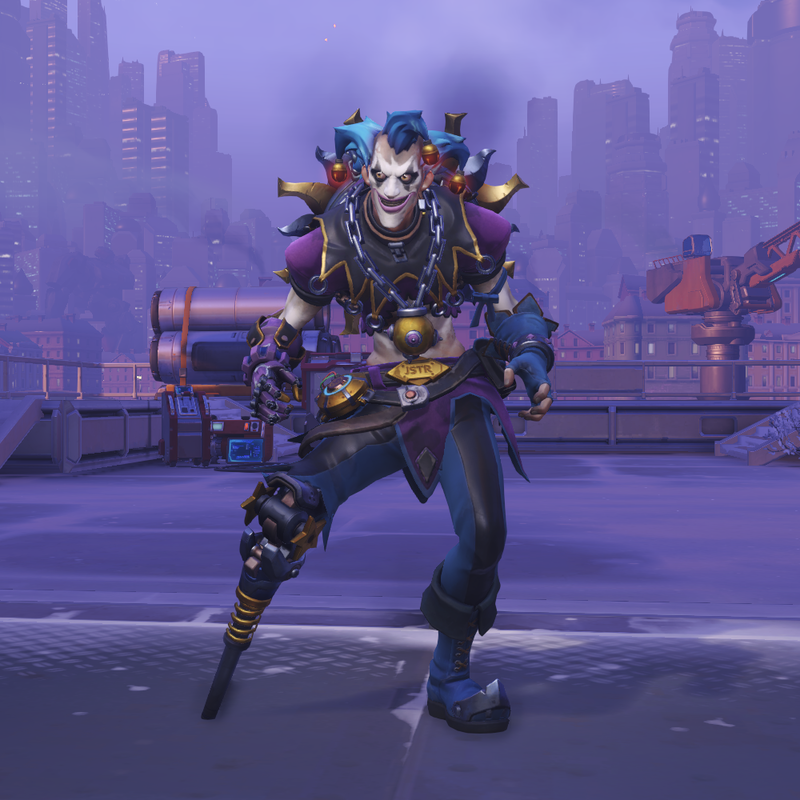 Junkrat’s “Jester” skin. Image via Blizzard Entertainment. Junkrat’s “Fool” skin. Image via Blizzard Entertainment. Storm Rising runs from April 16 to May 6. The event revolves around a co-op mission in which Tracer, Genji, Winston, and Mercy work together to complete an objective. Full details of the mission have yet to be announced. A list of achievements was shown on the Overwatch site yesterday and six more skins have yet to be revealed for the event, according to the blank slots on the Overwatch Archives site.